Chromebook does have a few advantages over traditional personal computer though. For example, ultra-fast boot time of as fast as 8 seconds, continue to support many plug-and-play USB devices such as external drive, camera, mouse, keyboards, etc. and does not require anti-virus software due to multi-layer security architecture employed by web apps. Chromebook does not have mechanical hard disk, and is using Solid State Drive (Flash memory SDD) instead, giving it further speed advantage. The main difference of Chromebook is that users use web apps that available from Chrome Web Store instead of install traditional programs. With the emphasis on web apps, the availability of Internet connection is paramount to Chromebook. 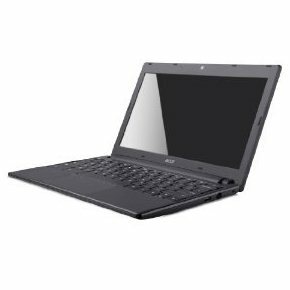 As such, several Chromebook models has built-in Wi-Fi and 3G connectivity to ensure there is connectivity to the Internet anywhere. There is also a special keyboards with buttons for opening and controlling multiple browser windows, and Web search button that replaces the Caps Lock key. If you’re interested to get a Chromebook, it’s now available for pre-order at Amazon.com (aff) and Bestbuy.com online stores, according to Google. Chromebooks from two manufacturers are available for pre-order on Amazon, namely Acer and Samsung, while Best Buy is currently only taking orders for Samsung branded Chromebooks at the same price pricing. 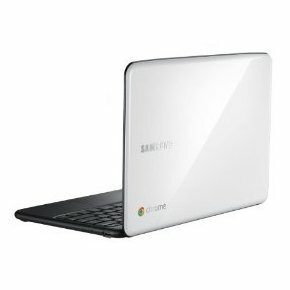 The Chromebooks are expected to officially released and shipped on June 15, 2011. So you don’t have to wait long even if you decide not to pre-order, as Chromebooks are unlikely to be as hot-selling as Apple’s iOS products that are always snapped up on first day of launch, and customers have to wait weeks for the product to arrive. In fact, you may get a better deal if you order later, and it’s highly likely that the price will drop soon after launch as the launch price is considered ” too expensive”, especially the Samsung models which cost $50 more to Acer models.